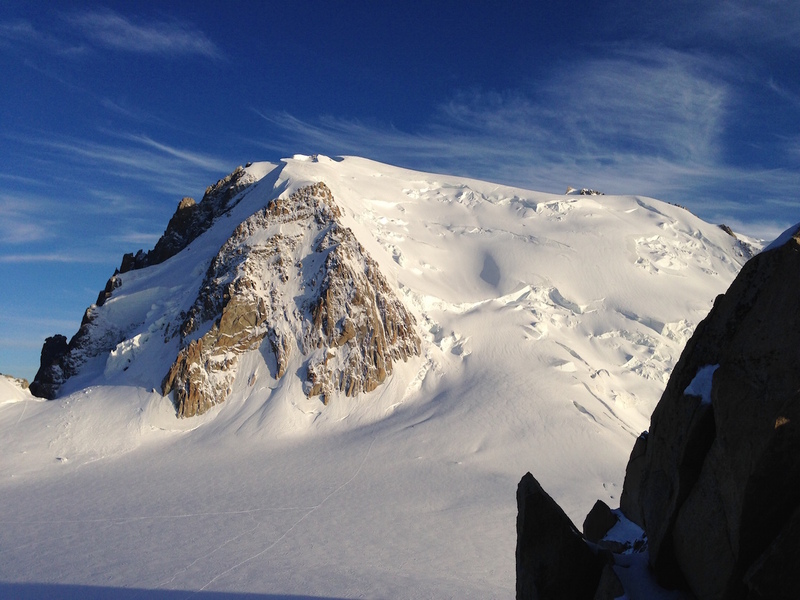 here are two relatively easy routes to Mont Blanc summit: one leading through Goûter hut (the one we offer), and a longer, more challenging and dangerous route through Cosmique refuge. To get to the beginning of our route we will take an hour-long cable-way ride from Lafayette or St-Gervais stations (at an elevation of 800 m) to the last station of Nid d`Aigle (at 2372 m). Then will follow a 2–2,5 hours’ hike to the glacier Tete Rousse. As a rule the first night will be spend in Tete Rousse refuge or in tents. Next day we will climb through the glacier to Grand coloir, cross it and climb to the old Goûter hut. This climb to the elevation of 3817 m from Tete Rousse will take two to four hours, with the trail consisting partially of regular rocks, and equipped with steel-wire rope for belay on several sections. This climb technically is not challenging but pretty exhausting. 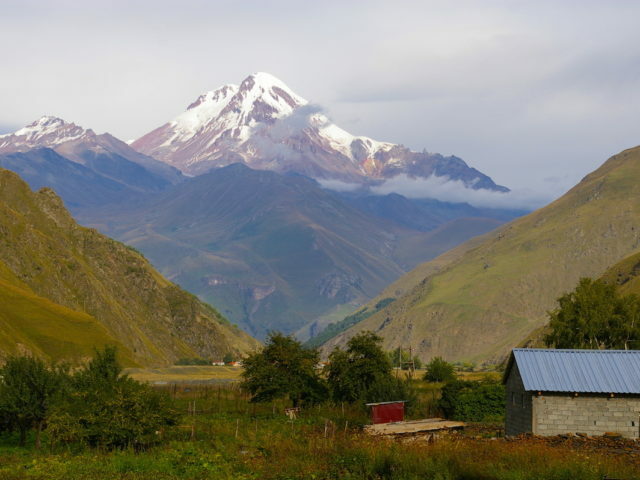 After getting to the refuge, we may take an acclimatization climb to an elevation of 3900–4000m. If the weather and the trail’s condition are good, we will start at 3 or 3:30 AM after a breakfast at 2 AM. Crampons should be fastened on from the very beginning. The trail is passing by a broad snowy ridge, then by a closed glacier to bypass crevasses (moving in roped parties for two hours) heading towards the top of Goûter hut and further up to Vallo hut (a French astronomer, who built an observatory there, at an elevation of 4300m). Then the trail is passing by steep snowy slopes and ridges to the beautiful and impressive ridge preceding the summit. From that point there is 2 to 4 hours’ climb to the summit. The descent to Goûter hut will take 2–3 hours. Technically this route is not very challenging but it is very long, with an altitude gain of over 1000m. Climbers with good physical fitness can pass the section of the route from cable-way station to Goûter hut (at 3800m) in one day. Another way to start the ascent is from Tete Rousse (at 3150m), with altitude gain of 1700m, and with duration of the ascent 7–12 hours, followed by a 6–8 hours’ descent back to Tete Rousse. Program of guided Mont Blanc ascent (from the French side). Day 1. Mont Blanc ascent participants’ arrival to Geneva. Moving to Courmayeur, which is our key point for Mont Blanc ascent. Meeting with the guide. The group discusses the plans and ascent program, solves different organizational issues. Day 2. Acclimatization: going out and conducting special training sessions on the territory of the hut (3489 m altitude). The group moves to Valtournenche valley. Climbers follow to the very foot of the mountain. From there we are moving by cable car towards the hut, which is located in just a five minute walk from the cable car upper station. After all participants are accommodated in the hut, we start acclimatization: going to the height of 3800 and training sessions on the snow. Participants are getting ready for the next day. Day 3. Breithorn ascent (4164 m altitude), descent to Courmayeur. 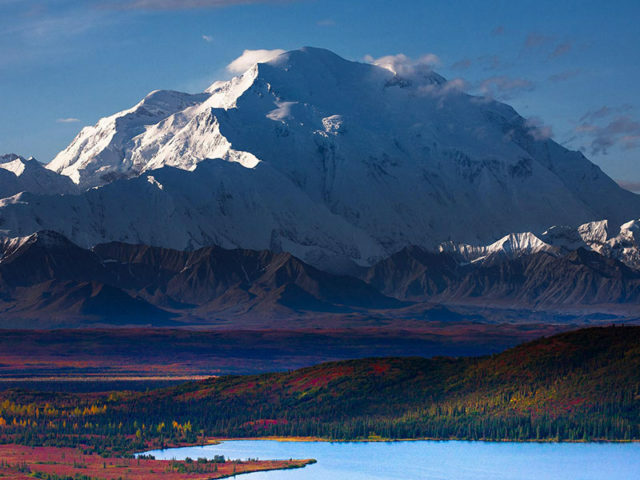 This is the day to train before Mont Blanc summit ascent. Early rise. Breithorn ascent takes about three to four hours. 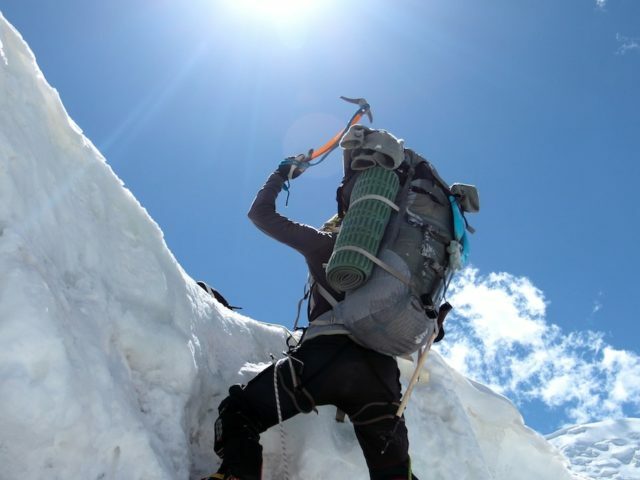 In technical terms, the ascent is considered to be not very difficult. Almost all the time of the ascent there is an unforgettable view of the magnificent Alps. 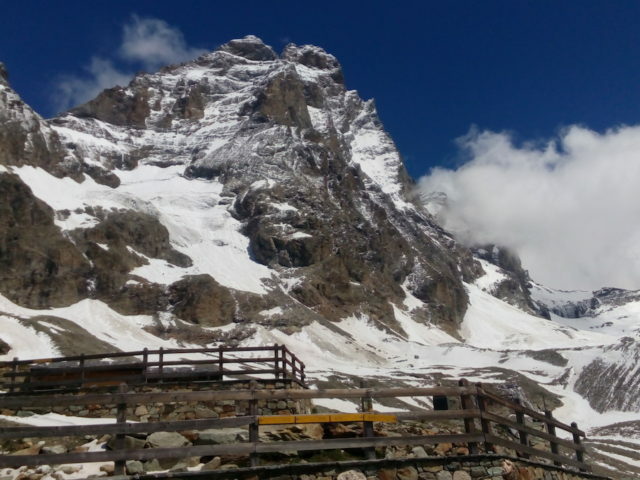 The group descends towards the hut, and then goes by the cable car towards Cervinia. Transfer to Courmayeur. Day 4. The group moves to Chamonix. Ascent to the Gyute hut. Breakfast and transfer to the French territory. Already in Les Houche town we are beginning the ascent by cable car, and then take a special mountain tram towards the “Eagle’s Nest” station. From there walking part of the way starts. First a simple way towards Tete Rousse hut. From this point we climb in bunches over the rocks in direction of the Gyute hut (3185m altitude). Day 5. Mont Blanc ascent (4810 m altitude). Descent to Chamonix. This day is the most important and difficult one in the whole program. Early start at 3 AM. Starting climbing the Mont Blanc by wide snow-covered slope. We come to De Gyute House (elevation 4304 m.) From this point the descent starts, and then we go up to the height again. The final part of the ascent is the narrow and, in addition, rather steep snow-covered ridge. Descent by the same route towards the Gyute hut. Passing to one of the mountain tram stations. Getting down by mountain tram to one of the cable car stations, then going by cable car. Transfer to Courmayeur. Day 6. Reserve day for Mont Blanc ascent, in case of bad weather. If the group does not use it, as an option, it will be possible to dedicate this day to sightseeing of the surroundings. Day 7. Participants move to Geneva. Flight home.